Our last day of May was full of work.. we found out that our bilge pump is broken and we have a hose that is leaking, glad we have 2 spare bilge because it’s expensive to buy here. For others who are new on sailing terms like me, Bilge pump is use to pump out the water that is coming inside the boat so to make sure the boat will still be afloat or can anyone explain it better? Haha! Jonathan had to call our friend, Blayde, to help us and we owe him big time! Aside from that, I have to finish my pending clients for May! 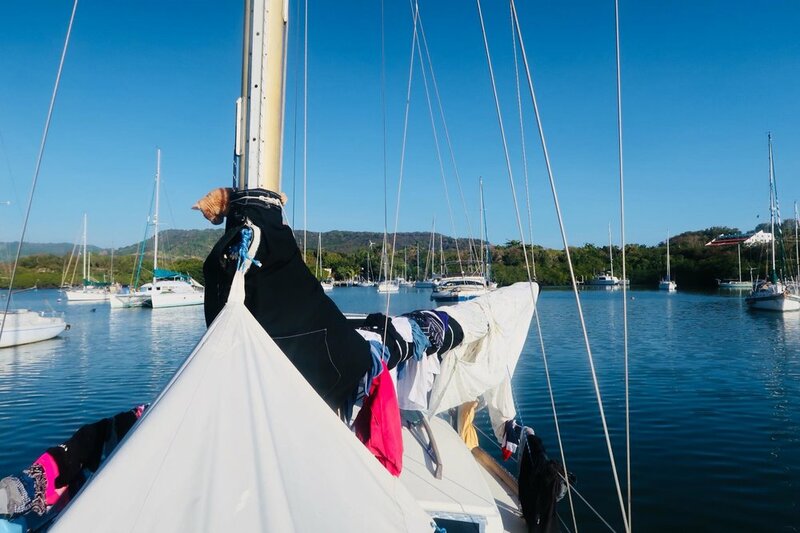 There’s a water shortage in the marina so we couldn’t use the washing machine.. we wanted to hire a local lady for our clothes but they are now higher fees! Haha! So Jonathan decided to wash some of our clothes that we use on daily basis, towels and a bed sheet!